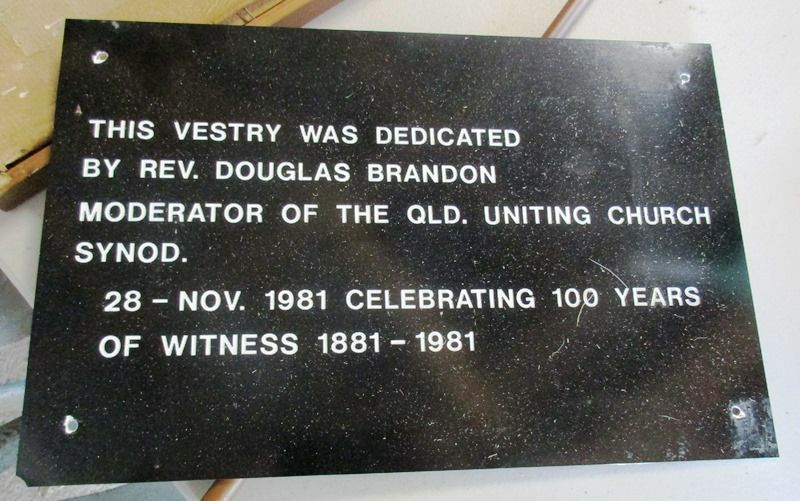 A plaque commemorates 100 years of Christian service at the former Kalbar Uniting Church. Moderator of the Qld. Uniting Church Synod.